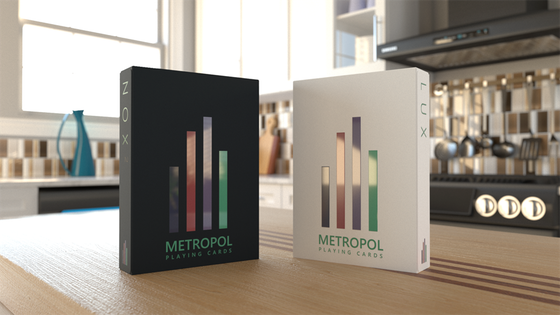 All Metropol 2017 edition decks are expected to ship early February 2018. All orders will be shipped from the Metropol Playing Cards office in Ontario, Canada through Canada Post. When my order ships, will I receive a tracking number? Due to the high cost of tracked shipping through Canada Post, most small orders will not come with a tracking number, this would typically affect orders of 6 decks or less. Certain size packages cannot be shipped without a tracking number. If your order has a tracking number I will make sure you receive it as soon as possible. When will pre-orders ship? How will orders be shipped? When my order ships, will I receive a tracking number? I want to know when my reward is shipping. I am having trouble filling out my survey. I would like to make a change to my pledge. I would like help with preorders. I have a issue with my pledge finances. I have a question for the project creator. I have a question not listed here. I want a refund for my initial campaign pledge. I have a question about BackerKit.